Somewhere along the river, perhaps just around the next bend, is Tuggyland where Tuggy and his friends live and play. Welcome to Tuggyland - home of Tuggy the Tug Boat and his friends. The Tuggyland adventures started in 2009 when the first three books were published. 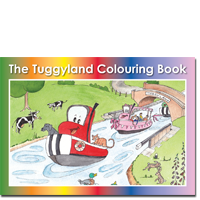 Since then we have added another two books and just announced The Tuggyland Colouring Book. 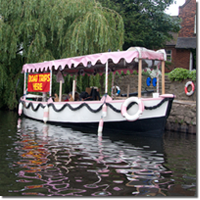 In June 2012 we launched educational river trips for children in our very own Trixie the Trip boat. What's more our first iPad book is now available to download for FREE! NEW! The Tuggyland Colouring Book. Take a trip on the real Trixie! 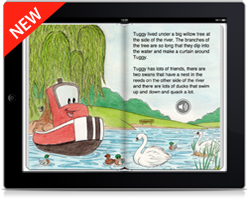 Tuggy and Friends now available FREE for iPad!